When: Auditions will take place throughout the spring semester and must be completed no later than Saturday, May 11, 2019. Audition on one of three audition dates – February 9, 2019; April 6, 2019; and May 11, 2019. What to play: Prospective cadets will be asked to play a prepared piece of music and demonstrate their sight-reading skills. Students should come prepared on the audition music. For a PDF copy of the audition music, click here. 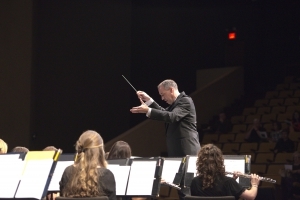 Sight-reading skills will be assessed by hearing students sight-read a march. Instruments: It is recommended that you bring personal instruments to the audition but instruments will be provided if needed. When will I know if I’m accepted: Acceptance into the Aggie Band will be based on audition results and availability of positions in each section. Notification of acceptance will take place after the May 12th deadline. When: Auditions should take place in the late spring (May or later) or early summer prior to the student’s New Student Conference. 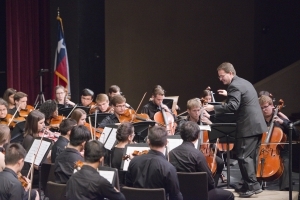 Many students who cannot make an extra trip to College Station find that the afternoon before their conference begins is an ideal time to audition. What to play: Audition material is selected by the student and should include two contrasting excerpts which exhibit both technical facility and lyrical qualities. Students should prepare approximately two minutes of each style. Percussionists should prepare three selections: one each on timpani, snare and mallets. Sight-reading is also included in the audition process for all instruments. No scales are required. To schedule an audition: You can request an audition by contacting Mr. Russell Tipton at 979-845-3529 or rtipton@tamu.edu. Please indicate what instrument you play, what day and date you would like to audition (Monday through Thursday) and a preference for morning or afternoon. 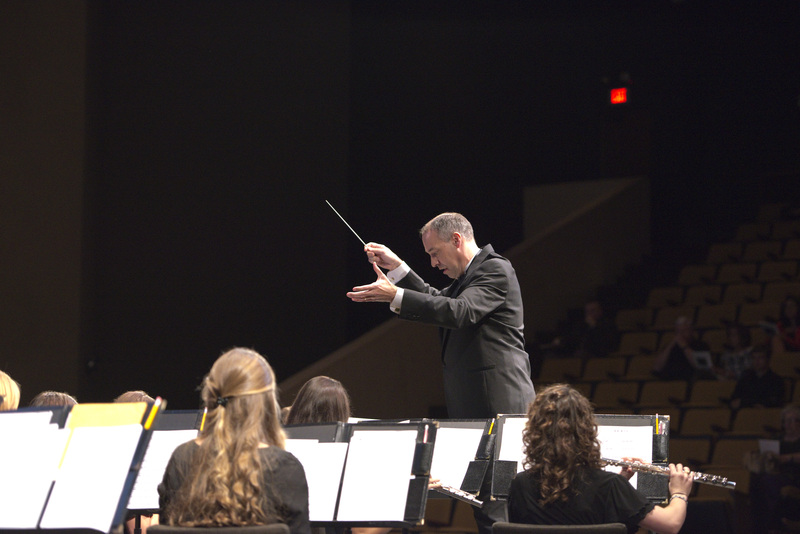 For our Audition Information form for all concert ensembles, click here. When: Freshmen should audition while they are on campus for their New Student Conference. • Wind players should prepare 4 Major scales in concert Bb, F, Eb and Ab through the comfortable range of the instrument. Students should prepare one medium swing tempo or faster selection and one ballad or Latin style selection. Students may use region jazz etudes, melodies from standard jazz tunes, or transcribed jazz solos that demonstrate style, musicality and technique on the instrument. For lead player auditions, one piece may be performed to a play along accompaniment to include improvisation. • Guitar / Piano players should prepare major scales covering the range of the instrument and demonstrate 4 basic chord types: major, minor, augmented, and diminished. Students should prepare 2 jazz tunes demonstrating melody and comping techniques in 2 contrasting jazz styles. One or both pieces may be performed to a play along accompaniment to include improvisation. • Bass players must be proficient reading bass music and chord progressions. Bass players should prepare major scales through the range of the instrument. Students should also prepare two choruses of a blues selection or one chorus of a 32 bar jazz standard utilizing walking quarter note bass lines. The audition will also include sight-reading a quarter note bass line and a more rhythmically challenging funk bass line. • Drummers should have some previous fundamental drum set experience or training. 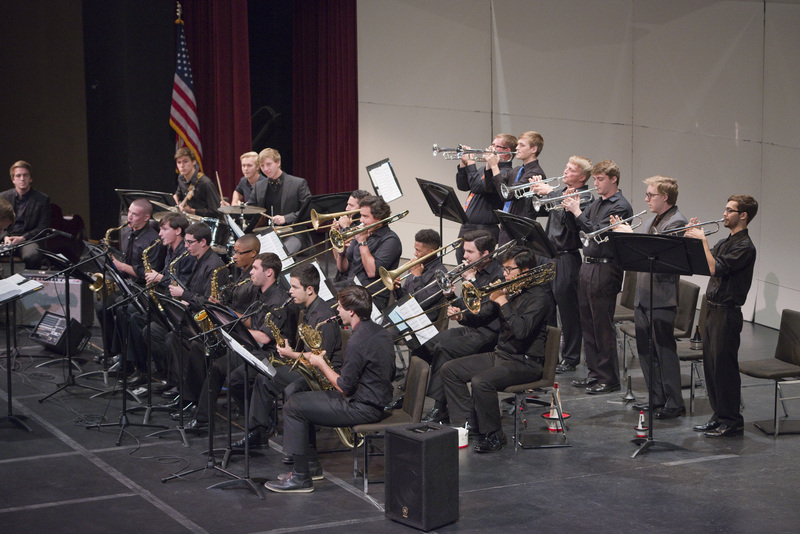 Students should be prepared to demonstrate specific drumming abilities for playing time and improvising fills in various styles of jazz music including medium or up–tempo swing, basic Latin, and rock or funk. The audition will also include sight-reading a simple big band style kick chart. To schedule an audition: Contact Chris Hollar at 979-845-3529 (mornings only) or chollar@tamu.edu. Mr. Hollar also hears auditions for the Hullabaloo Band. When: Auditions should take place in the late spring (May or later) or early summer prior to the student’s New Student Conference. 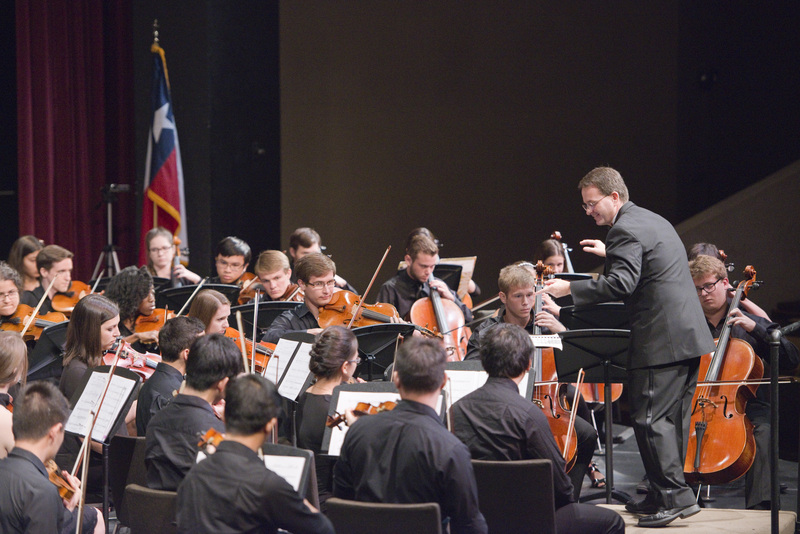 Many students who cannot make an extra trip to College Station find that the afternoon before their conference begins is an ideal time to audition. 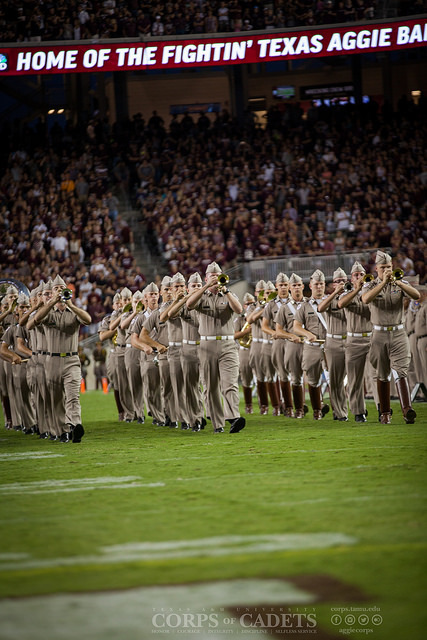 For current A&M students, auditions should take place toward the end of the semester prior to joining. Please note these auditions are for string players only. 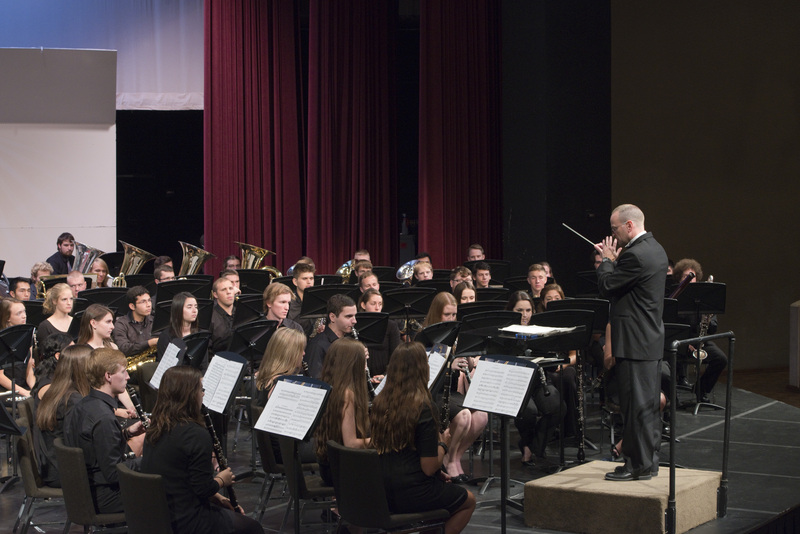 Wind and percussion players interested in playing in the full orchestra should schedule a band audition. What to play: The audition will consist of two prepared excerpts and sight-reading. Students should prepare two excerpts, each about two minutes in length. One excerpt should be fast and technical in nature and the other slow and lyrical. Students choose their own audition material with many students using past etudes or solos. Violinists wishing to play 1st part should demonstrate their ability to play in 4th position and higher. The sight-reading material will be taken from music the orchestra will be performing in the upcoming academic year. 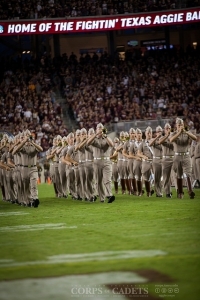 To schedule an audition: Contact Mr. Travis Almany at 979-845-3529 or talmany@tamu.edu. Please indicate what instrument you play, what date you would like to audition (Monday – Thursday), and a preference for morning or afternoon.